I promised I’d make things up to you, and I think this list might just do the trick. Also I have a terrible habit of coming up with great things to write about right before something (or in this case, lots of things) is (or in this case, are) due. But I am a huge literature nerd, so I think this is appropriate. I rave about books all the time anyway, so I think I should share the pieces of literature that influenced me the most. I skimmed through The Inferno in high school (I was a senior. Can you blame me? ), but put in a much greater effort when it was assigned in my super-hard-and-intimidating-mythology-class-that-a-valedictorian-from-my-high-school-was-in. It paid off. If I hadn’t thoroughly read The Inferno, I might have not decided to emphasize my English major in radical religious literature. 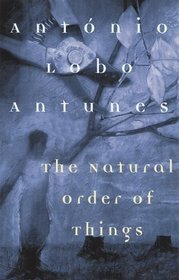 This book also influenced me because Dante had nerve. 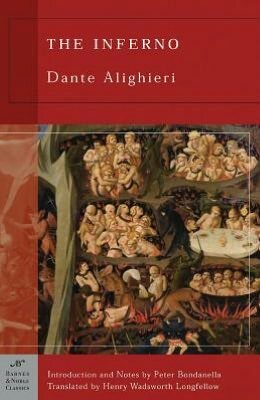 Even though his majorly unrequited crush on Beatrice was unrequited and kind of creepy, Dante was gutsy as hell (ha! ), and I really admire that. It takes a lot to criticize your own religion. If you know me in real life and have ever heard me rave about Portugal, this book is why (this book is Portuguese). I’ve developed a bit of an obsession with Portugal, and I’m really hoping to go there in the near future. This book isn’t exactly famous (at least not here), so I guess I should explain it a little. From what I remember, the story spans over several decades and has about eight narrators. It’s also one of the only postmodern books I actually like. 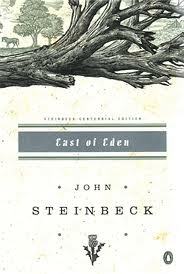 You should read this book – I’m not very fond of the ending, but this is one of the best books I’ve ever read. Top five, definitely. It’s brilliant. Look at it, at least. This book was… an experience. I hate it and love it at the same time – it’s brilliant, but it’s just not fun to read. If you know me, then you’ve probably suffered at least 10 doses of my complaining about it. I once had a teacher who said Ulysses is a book that nobody should have to read for the first time. Now I can say that I agree with him on the whole concept of losing my Ulysses virginity. But it would be wrong of me to say it isn’t incredible. I’ll read it again later in life. I don’t think I was developed enough this go around. 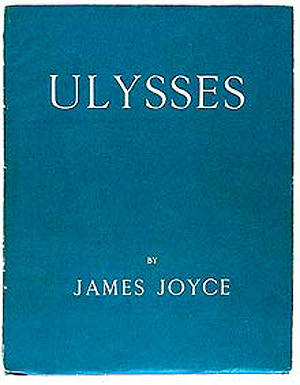 Joyce put an incredible amount of thought into Ulysses – nearly every word is an allusion. I hope I can have a pinch’s worth of that talent one day. This isn’t my absolute favorite Carver story – “What We Talk About When We Talk About Love” has that spot – it was a close race, though), but it is the very first one I read. There are some works that just strike you and have so much power. For me, Cathedral is one of those pieces. 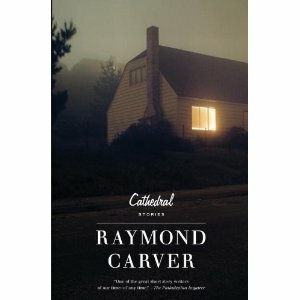 Carver’s realism is just so good – if I didn’t enjoy it so much, I wouldn’t have purchased a complete anthology of his work which happens to be over 1,000 pages. Yeah… I kind of have a long way to go with that one. But I love his work! I actually tried to be Carveresque with the last short story I wrote, and it actually happens to be my best. Thanks for inspiring me, Ray. I have a huge fascination with the Fall. *See numbers 5, 2, and 1 for further explanation* But this poem actually influenced me in another way too. On the day I toured UGA, I sat in on an English class that happened to be taught by my current poetry teacher (I did this on purpose). Want to take a stab at the poem we learned about that day? Yes, that’s right, The Oven Bird. 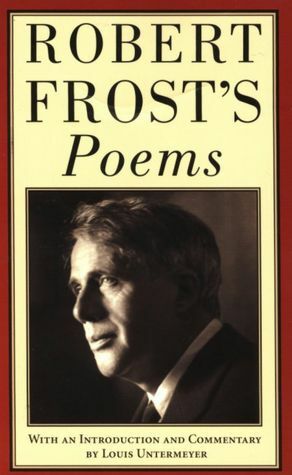 I think I’ve mentioned this before, but that poem is part of the reason why I took the Milton class and most of the reason I am in the poetry class I’m taking. Robert and Susan shaped my life, guys. And that is why I am going to be my poetry teacher when I grow up. When I was 16, I went to Iran to the first, and as of now, only time. I found this book on my mother’s shelf and brought it to read on the plane. I had read and loved Steinbeck before (The Grapes of Wrath actually almost made this list), so I thought it would be a good choice. I was actually thrilled to find this, even though it’s a giant book. I ended up depending on this book while I was on vacation because I was parched for contact with the English language. I read it feverishly. And oh, how I loved this book. It got me into the Fall before I even realized it! It’s kind of funny how my taste in literature has worked out. 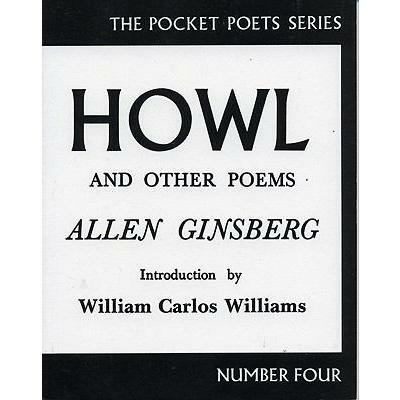 I can’t think of a writer more irate and pissed than Ginsberg was, and I love him for it. Now obviously, I love this poem. I’ve seen the movie, and I’m a little obsessed with it. I listen to Ginsberg on Spotify. I have a book of essays on the poem, for god’s sake. I would have written a huge essay on Howl, but we didn’t even cover it this semester. I’m actually really upset about it. I hope that one day when I’m really pissed, I’ll remember to think like Ginsberg and just spin a beautiful web of poetry out of my anger. 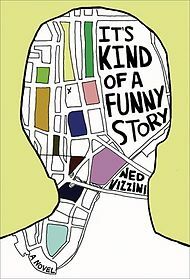 I was in a pretty dark place when I stumbled upon this book – and the cover art is what caught my attention, so that’s why I hate the phrase “never judge a book by it’s cover.” Covers are meant to attract readers! That’s how it works! You probably think I’m lame since there’s a movie of this book, and it’s pretty cheesy. Well I read this book years before news of a movie reached me (I’m so goddamn indie, I know). The reason I like It’s Kind of a Funny Story so much is because I relate to Craig so much – not just because of depression, but also because of the crazy expectations he puts on himself and his masochistic thought process. And once I realized that Craig could become better, I decided that I could overcome my mental instability too. I think I’ve made it pretty clear that Milton is my homeboy. A semester ago, all I blogged about was this poem. I have a fish named Lycidas. I’m referencing Paradise Lost in a paper that’s due next Tuesday. But I really do love Paradise Lost. Once you read it, everything changes. I can see a Miltonian interpretation of almost everything I read because of it. Ulysses, Portrait of the Artist, the huge amount of poems I’ve had to read this semester, you name it. Oh, and Paradise Lost solidified my decision to emphasize in religious literature, so there’s that too. And it’s beautiful. Don’t forget that. My nerd is coming out. Sorry, guys. These books, guys. Yes, my top choice is a trilogy. I can explain. Three years ago, when I was taking adolescent literature at Harvard nerd camp, I had no idea how much these books were going to shape me. 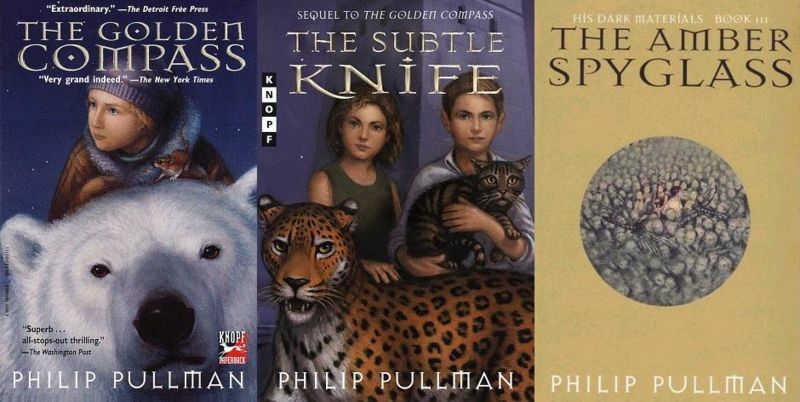 I came to these books much later than I should have – by this I mean “I saw the Golden Compass movie months before I ever read the book.” And I didn’t think the film was that great, because I don’t think anybody did, but I really loved the story. I’d still watch the movie today even though it’s disappointing, out of order, and inaccurate just because I’m such a huge Philip Pullman nerd. These books have shaped me tremendously. They have made me laugh, fawn, smile, throw The Subtle Knife at a wall, and shed some of my hardest tears. Although I didn’t know it until a few years later, they sparked my interest that turned into my major concentration. In the years since I read them, I’ve made efforts to get other people to read them in the hopes that they would be as struck as I was. I got The Golden Compass on a class curriculum in my very Catholic high school. I lent copies of the trilogy to friends – and sadly, lost a book or two in the process. I took that Milton class just so I could understand the books better. I even read these books and Paradise Lost at the same time. I think it’s safe to say that these books influenced me more than any other pieces of literature. The things I’ll do to get out of homework can get pretty weird. In the past week, I’ve cleaned my entire apartment, rearranged my room, stayed at paper meetings until the last three people there wanted to go home, and made a Facebook account for my dog – yes, I have reached an all-time low. On Monday, while I was developing a case of writer’s block, I decided to finally buy some vacuum cleaner bags because my room was a mess and I was tired of seeing my hair on the floor. (It has a nasty habit of falling out. Ask anyone I know.) Google told me that Walmart was the only place that sold Oreck vacuum bags, so I went there. In order to access the cleaning section, I had to walk past the pet section, which is interestingly adjacent to the electronics and entertainment section. 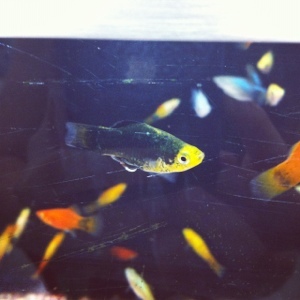 I peered down an aisle and saw fishtanks, remembering that I had wanted to get a fish for a while. 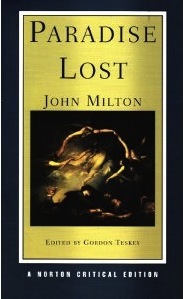 Let me refresh your memory – or, if you didn’t read my last Lycidas post, catch you up – I took a Milton class last semester, and one of the poems I had to read, Lycidas, was an elegy for one of Milton’s friends who had drowned. I thought it would be really funny to get a fish and name it Lycidas, because yeah, fish can live underwater. There! Now you’re caught up! But I had to wait for a while. You see, I didn’t want to get a fish before I went to Austria, because I was worried that whoever I entrusted with taking care of it would accidentally let it die. Inadvertently letting your fish starve to death while you’re in Europe is just not fair. But I wasn’t in Europe anymore. I wasn’t going anywhere for a while. I decided that I had finally come across an opportune moment for a fish. I had been eating vegetables. I had been cleaning ferociously. I was writing weekly. Clearly I was responsible enough for a fish! And here, in a Walmart, I had come across the coolest fish in the world. And this is how Lycidas came into my life. Lycidas is the first animal I’ve gotten since I left for school. The only one. I don’t really count Norman because Norman is a plant. Lycidas is my animal, and mine alone. This means that I really want everything to go perfectly and have been freaking out over a fish. I watch him to make sure he eats his food – he’s a little bad at this; at the moment, I’m not sure whether he’s still adjusting to living somewhere else, just not hungry at the moment, or dumb. Or I guess he could have a tiny appetite. Thanks to Dr. Seuss, I believe that fish have enormous appetites. Or I could be basing that off my own appetite. Anyway, I’m trying really hard not to screw up because I feel like fish are really easy to kill. 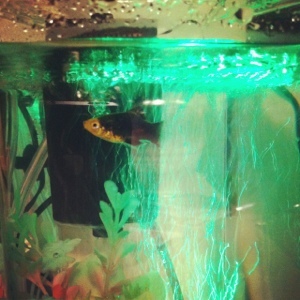 Oh, and because I now believe that my credibility as a responsible person depends on my fish’s life. I told you he was the coolest. And here is again, once he finally became a little less camera-shy. He had to adjust to his new environment, you know.